Gerry was licensed in 1992, and has been selling REO properties for the last 18 years. Eight years were with a ReMax office and ten years have been as CEO of PA REO, INC. His coverage includes the Philadelphia-metro area and surrounding counties in Pennsylvania and southern New Jersey. Mutual, GMAC, Morgan Stanley, Litton Loan Servicing, Aurora, Interbay Funding, and many outsource companies. For the past 15 years he has averaged 190 closed REO sales per year. He is familiar with many bank and servicer websites including Equator, ResNet, Disposolutions, Premiere Asset Services, Aspen Grove, Fannie Mae and Isis. 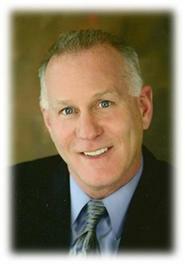 Gerry is currently a member in good standing with Reomac, NRBA, and Reobroker.com. MLS memberships include Trend, South Jersey MLS and Cape May County MLS. 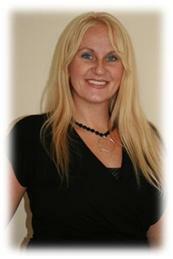 Heather has been working at PA-REO INC. for over nine years as the Vice President, Owner, and Office Manager. She has prior experience which includes five years as a licensed real estate agent in PA and NJ, with a specialization in REO properties. Heather started out in residential real estate, but is now working almost exclusively as an REO agent, experienced in all aspects of the REO field. She handles all management training within the office, and is responsible for payroll. Heather was also a licensed nurse for over ten years. Experience in the nursing field promoted Heather’s strong communication and relationship skills. Roxanne is the initial point of contact for all of our clients. She is responsible for the upkeep and updating of all listings, websites, and administrative work. Her past experience includes over thirty years of administrative work, customer service, data entry, and billing. She maintains a pleasant, friendly disposition at all times and keeps the office organized. Roxy has been working at PA- REO INC. for over 6 years and she knows our office extremely well. Dana graduated from Penn State University in 2001. She has previous experience in IT recruiting, contract management, and accounting. 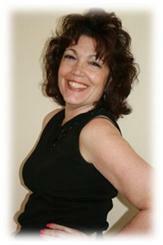 Dana has been working at PA-REO INC for over 8 years. She manages asset preservation—dealing primarily with “problem properties.” Dana’s position focuses mainly on major rehabs, discoloration remediation, environmental concerns, etc. One of her core responsibilities includes building successful relationships with Asset Managers, contractors and township personnel. Bebe has been working at PA-REO INC. for over 5 years. She has thirty years of billing experience working at Gansky Jewelers. Bebe works hand-in-hand with our Asset Preservation Manager to maintain our properties from cradle to grave. Some of her duties include reimbursements and accounting for contractor and other invoices and contracting out work. Bebe oversees rekeys, trashouts, and initial and ongoing property preservation services. Jeannie has been working at PA-REO INC. for over 5 years. She was trained by a licensed real estate agent and works hand-in-hand with our broker and valuations assistant to complete accurate and competent Brokers Price Opinions. In addition, she works diligently to successfully execute Cash for Keys transactions, Monthly Status Reports, occupancy checks and property updates.